Please note: The City of Irvine has launched a new class registration website for the community to use when signing up for City programs and activities called Your Irvine. All City classes and activities are now at yourirvine.org. As of 6 p.m., Wednesday, Feb. 14, the City's former system, irvinequickreg.org, will no longer be active. All existing registrations will carry over to the new site, but users must please go to yourirvine.org to set up new accounts and sign up for City classes moving forward. If this is your first time signing up for an activity, create an account at yourirvine.org. Search the latest issue of Inside Irvine or yourirvine.org for all available classes, programs and camps. If you are registering your child for a camp, make sure you fill out the Participant Emergency Form first. You will not be able to enroll your child without completing this form. Q. What if I want to cancel or withdraw from a class, or request a refund? A. Please see the City of Irvine's Cancellation, Withdrawal and Refund Policies page for more information. Q. What is the City's Tax ID Number? A. The City's Tax ID# is 95-2759391. Please consult a tax professional to verify your child's enrollment is a qualifying credit, or read more information on the IRS' Dependent/Child Care Credit here. Q. How can I receive issues of Inside Irvine to register for more classes in the future? A. 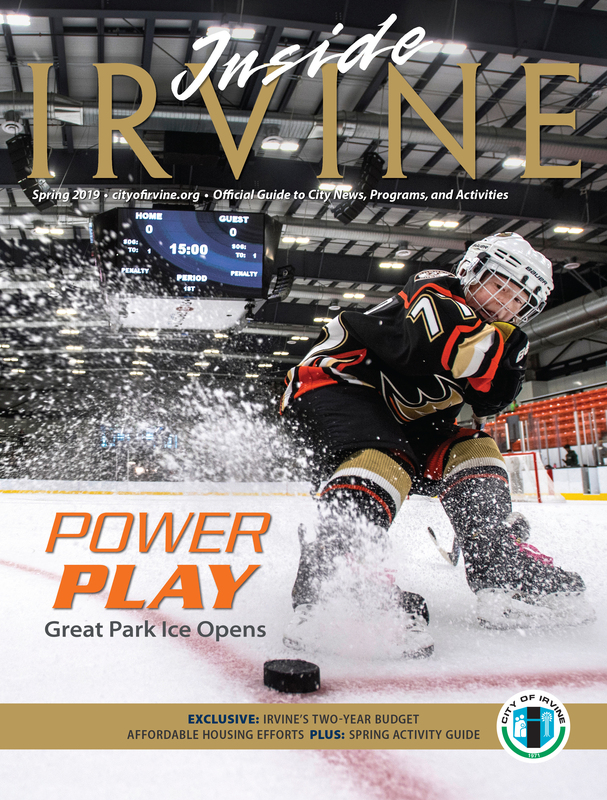 All residents of the City of Irvine are automatically mailed a free print copy of Inside Irvine, which comes out quarterly. If you live outside of the City and want to receive a copy, call 949-724-6610 to be added to the nonresident mailing list. Current and recent issues of Inside Irvine can also be found online at cityofirvine.org/insideirvine. For other questions, please call 949-724-6610 or email yourirvine@cityofirvine.org.